Minister Sergey Donskoy and Kremlin special envoy Sergey Ivanov open new environmental center in the Russian border town of Nikel. 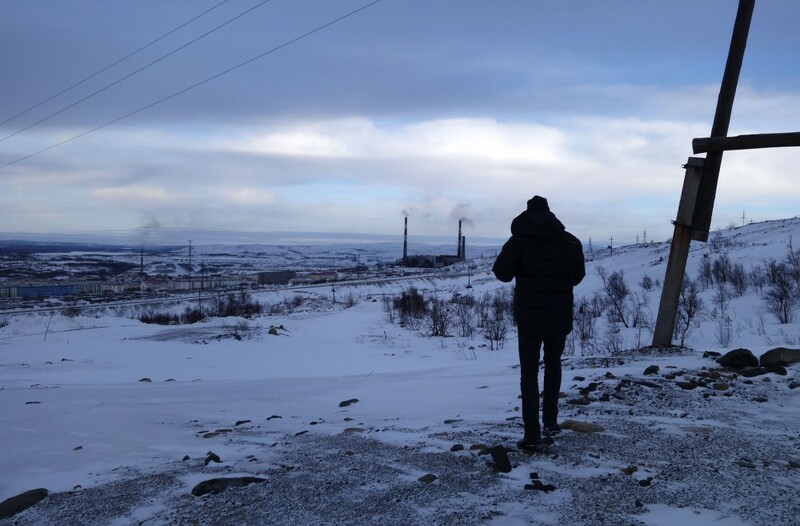 The top representatives from Moscow today get acquainted with one of the most polluted sites in the whole Russian Arctic as they arrive in Nikel, the company town of Norilsk Nickel located only few kilometers from Norway. Donskoy and Ivanov will take part in the official opening of the new visit center for the Pasvik Nature Reserve (zapovednik), a research and conference facility financed by Norilsk Nickel. They will also be presented with the results of a Norilsk Nickel project on exploitation of waste materials from nickel refinement, a press release from the Ministry of Natural Resources reads. The two powerful men come to Nikel as there are growing speculations about the future of the local nickel plant. In a newspaper interview, Norilsk Nickel leader Vladimir Potanin hinted that the local nickel smelter could be closed after 2019. The plant shutdown is part of a grand $14 billion company development plan, which will turn Norilsk Nickel into «a role model for environmentally friendly companies». The statements by Potanin were made in late December, just few days before Russia officially started its 2017 Year of Ecology. Ambitions are high. According to President Vladimir Putin, Russia’s pollution and emissions must be cut with «at least 50 percent». The smelter in Nikel has for decades been on top of the agenda in political meetings between Russia and Norway. The plant is not only a major polluter on the Russian side, but also a serious source of pollution for neighboring Norway. In a recent bilateral meeting, Sergey Donskoy confirmed to Vidar Helgensen, the Norwegian Minister of Climate and Environment, that the Nikel plant will be part of a pilot project on the introduction of so-called best available technology (BAT) in the country’s industry. Vidar Helgensen told the Barents Observer that he is «following up with dialogue with the company and Russian authorities» and that environmental monitoring in the border areas remains a priority. «It is important to monitor whether the announced measures actually are implemented and give improvements», he underlined. An environmental report from the Russian Ministry of Natural Resources places Nikel among the places with the biggest number of cases with extreme air pollution. It also confirms that several of the local rivers are badly polluted by the industry. The plant in Nikel is operated by Kola MMC, a regional subsidiary of Norilsk Nickel. It is located in the vulnerable Arctic nature of the Kola Peninsula. Nearby is the Pasvik Nature Reserve which since 1992 has protected environment in the border areas to Norway and Finland.